Hey guys, here is my week 2 of “Diary of a female baller”. Today I did my usual thing to get ready and be fresh for school. My mom dropped me off at 7:10 which is normally the time she drops me every morning. It was a good day in school, I didn’t have any tests lol. Today my mom was able to pick me up from school, we went home and then I started on my homework. At 7 I went to a group strength and conditioning class that was pretty cool. We did a lot of running and ladder drills. After the workout I went home, had dinner and started getting ready for bed. Today I was at school a little later than usual at 730. Today was a normal day in school. Not sure if I mentioned my Hispanic research paper I did last week for my Spanish class on Ricky Martin, but I received a 100% on it. My grandpa came and pick me up and we went home. Today I only had math homework which I was able to understand with no extra help needed. My mom picked me up from my grandparents and we headed over to the No Boyz Allowed league in Elizabeth to watch a game. It was Sanai Christian Academy VS Trenton Catholic. After that game we headed home, where I had dinner and took a shower and now in bed. Today I started my day by getting ready and fresh for school. In my Honors History class we starting preparing for a debate and also had a test which I received an 80 on. To explain this debate further, my class was broken into 2 groups and several judges. The debate is next week and will be about Alexander Hamilton and Thomas Jefferson. I was selected for the Thomas Jefferson side. In my Honors Science class we was given a test, however I didn’t get the grade back yet. In my Honors Language Arts class, I got a 103 on my test. I couldn’t wait to tell my mom how I had the highest score in my class. 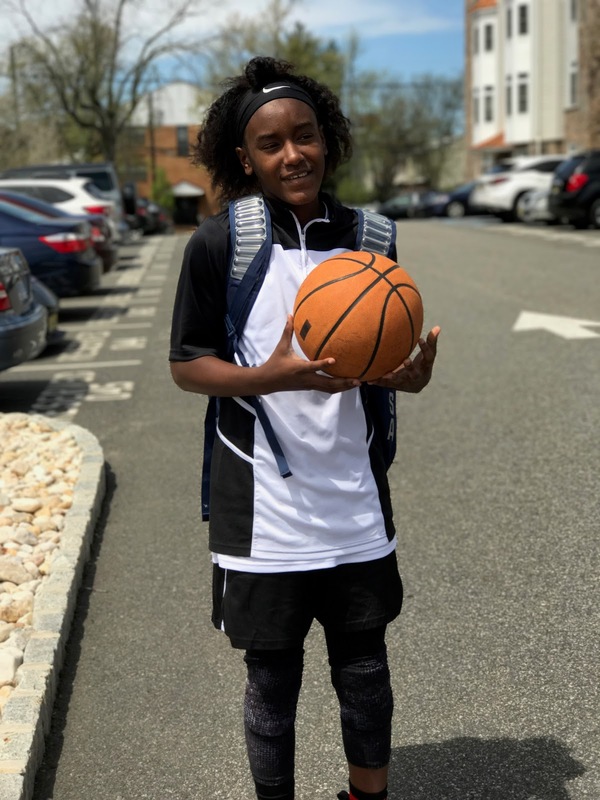 After school my grandpa pick me up and I did my homework and then after my homework was done my auntie dropped me off to Rutgers Prep for Kristen Somogyi Fall training. I always look forward to going because I get to train as well as see my basketball Cardinal family. My mom picked me up and I went home, had dinner, showered, and laid down and started watching the rest of the WNBA Finals.. Glad the Lynx won..
Today was a good day in school. I learned a few cool things in my coding class. In my music class I had to do a ringtone project which I got an 80 on. After school my grandpa pick me up and we went to my school football game, Linden VS New Brunswick. My mom then picked me and we headed over to the basketball warehouse. It’s been awhile but I was glad to be back. After the warehouse, I went home, had dinner, showered and went to bed. My mom dropped me off today at 730. In my Honors History class we watched CNN news, and then a few of my classmates had to present current events. In my Honors Language Arts class we had to read. I’m up chapter 7 in my book called “The Giver”. I ended up leaving early because my mom picked me up. At 7 I went to workout with Coach G. He taught me a lot and identified the little things I need to start working on now before HS. We stayed in the gym until almost 9pm. I then went home and started preparing for tmrw morning games with Exodus. Today I had 3 games with Exodus, we ended up winning the 2 games in the Rose Classics and the 1 game in the NY Cup. On my way home to NJ we stopped and had pizza. When I got home, I showered and ended up falling asleep and didn’t wake up until 8. I had dinner and watched a movie with my mom until I fell back to sleep. Today I had to go back to Brooklyn for 2 games. We ending up going 1-1 in the Rose Classics. After the game I headed back home to NJ. There is no school tmrw so I will be staying the night at my grandparents house so I don’t have to wake up early. This is the conclusion of my week 2 and see you all next week.